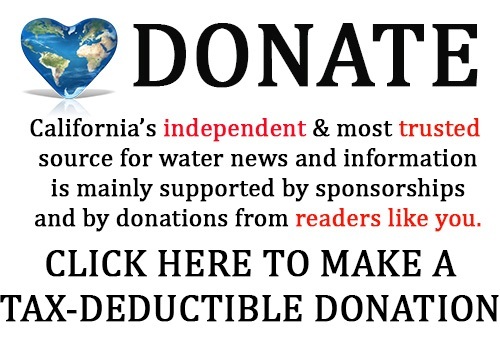 Your comprehensive source for California water news and information, organizing aggregated content from news outlets across the state, and supplementing that with detailed original coverage of meetings, conferences, water policy and science events. All delivered to your email box by 9am, with no bias, spin, or advocacy. Just simple, straight up information from California water's most trusted source. The Department of Water Resources (DWR) today released draft regulations that will assist local public agencies and groundwater sustainability agencies to manage and regulate California’s groundwater basins as outlined in the landmark Sustainable Groundwater Management Act, enacted by Governor Edmund G. Brown Jr. in September 2014. An overview of the draft regulations was presented to the California Water Commission at its meeting February 17, 2016. From the outset, the Sustainable Groundwater Management Act was intended to recognize that groundwater is best managed on the local level and that each groundwater basin has unique characteristics and challenges. An inherently technical and complex task, managing groundwater requires regulations that can address the goal of sustainability across such a geologically and hydrologically diverse state as California. Groundwater supplies over a third of the water Californians use, and the Act requires local agencies to draft plans to bring groundwater aquifers into balanced levels of pumping and recharge (Water Code §10733.2). 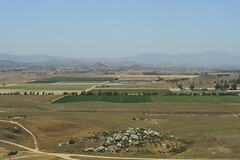 The historic law requires DWR to adopt regulations which outline a process for evaluating and implementing Groundwater Sustainability Plans or alternatives to such plans, as well as coordination agreements between local agencies in high- and medium-priority groundwater basins by June 1, 2016. Technical and financial assistance will be available to help local agencies develop their plans. A single plan covering the entire basin developed and implemented by one groundwater sustainability agency. A single plan covering the entire basin developed and implemented by multiple groundwater sustainability agencies. Multiple plans implemented by multiple groundwater sustainability agencies and coordinated with a single coordination agreement that covers the entire basin. DWR developed the draft Groundwater Sustainability Plan regulations after conducting listening sessions and extensive outreach around the state to gather perspectives from Advisory Groups, statewide stakeholders, partners, and local agencies. The initial draft of the Groundwater Sustainability Plan regulations is available for public review on DWR’s website, where the public also has the opportunity to submit written comments through March 25, 2016. DWR will host a statewide webinar and three public meetings in March to further solicit public input on the draft regulations. The final Groundwater Sustainability Plan regulations will also take public comment into consideration. 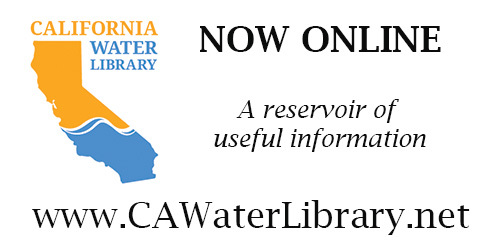 An overview of the draft regulations was presented to the California Water Commission at its meeting February 17, 2016. • A single plan covering the entire basin developed and implemented by one groundwater sustainability agency. • A single plan covering the entire basin developed and implemented by multiple groundwater sustainability agencies. • Multiple plans implemented by multiple groundwater sustainability agencies and coordinated with a single coordination agreement that covers the entire basin. The draft regulations are available for public review at http://www.water.ca.gov/groundwater/sgm/gsp.cfm. Comments can be submitted to DWR through March 25, 2016. Thirty days following the release of the draft GSP regulations, DWR will hold three public meetings to receive comments. The meetings are tentatively planned between March 21 and March 25. Information on the specific dates, times, and location will be posted online soon and notification will be sent to this email list. Comments should be concise and focus directly on the draft regulations. Comments should identify the specific section(s) of the draft regulations at issue and should include supporting evidence and facts. The commenter should provide complete references and/or citations, particularly when referring to websites (that is, provide a specific URL address rather than simply citing “DWR website” for example). The review and comment period is from February 18, 2016, through March 25, 2016. Written comments must be received electronically or postmarked on or before March 25, 2016. Statements made to DWR staff are not considered formal comments. All comments received on the draft regulations will be posted and considered for the final regulations and in the decision-making process. No final decisions have been made with regards to draft regulations; decisions will only occur after the formal public review and comment period ends. DWR is committed to transparency; all public comments will be made available on DWR’s Sustainable Groundwater Management website. While the early winter rain and snowpack are promising, this year may yet prove to be a fifth consecutive year of drought in California. To learn about all the actions the state has taken to manage our water system and cope with the impacts of the drought, visit www.Drought.CA.gov. 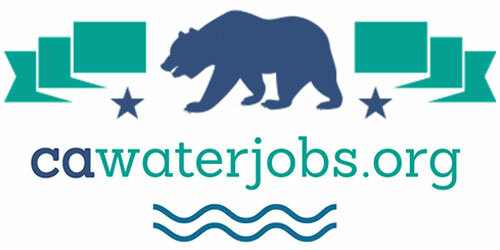 Every Californian should take steps to conserve water; find out how at www.SaveOurWater.com. Sign up for daily email service and you’ll always be one of the first to know! Sign up for daily emails and get all the Notebook’s aggregated and original water news content delivered to your email box by 9AM. Breaking news alerts like this one, too. Sign me up! Sign up for free email service and enjoy the convenience of receiving all the Notebook's news in your inbox. Daily emails arrive by 9am; Weekly emails are delivered Fridays at 10am. By subscribing to Maven's Notebook, you'll always be one of the first to know! Click here to visit Maven's photo library on flickr.